"J. Clay Smith, Jr. with Wiley A. Branton Sr., A. Leon Higginbothom, Ar"
All images are copyrighted by Howard University, displayed with permission of the copyright holder, or displayed without permission if the copyright holder is unknown. 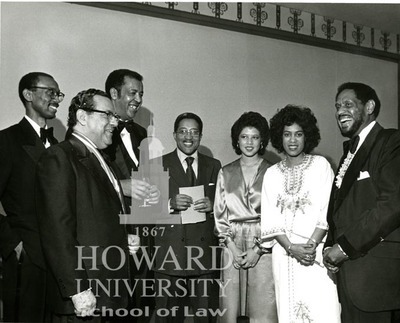 If you are the copyright holder and would like this image removed, please contact the Howard University Law Library Archives at (202) 806-8304. If you would like a use size version of this image, or to obtain reproduction rights, please contact the Archives at the number above.